Fred was born in London, the son of Herbert and Elizabeth Osborn. His father was a woodcarver and together with his brother, William, moved to Campden in 1902 to work with Charles Ashbee at the Guild of Handicraft. The family lived in Watery Lane and Fred was educated at Campden Grammar School. After the disbanding of the Guild the family moved back to London, where Fred soon became ill and was advised to move to a location free from smog. He had kept in touch with an old school friend, William “Wilfred” Leo Merriman, who had emigrated to Canada, and in 1913 Fred decided to join him. He was employed as a labourer on farms in the Poltimore area, sixty miles north of Ottawa, and in 1914 was joined by his parents and brothers, Harry and Bert. 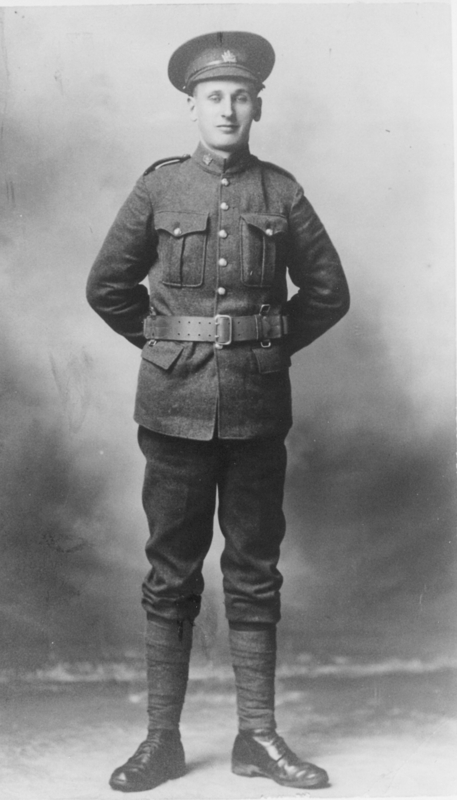 Fred arrived in France on 23 December 1916 and on 1 April 1917 he died of wounds received at 9.00am when he was accidentally shot in the right hip when a rifle was fired in his dug- out near Vimy Ridge in France. His death was officially recorded as “accidental”. He was 20 years old and was buried in Ecoivres Military Cemetery. Fred’s brother Harry got a job in Ottawa during the war as a machinist in a factory making shell cases and soon his parents and brother Bert joined him in Ottawa. 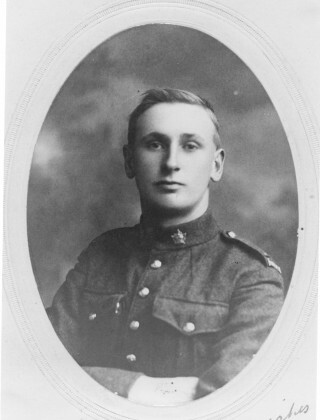 Bert was an accomplished engraver and he engraved many of the Mothers’ Silver Crosses that were sent to the families in Canada of men killed in the war. Bert died in 1925 and Fred’s parents were ageing. His father was unable to work and as he had no pension an application was made for a survivor’s pension on behalf of their son Fred. In 1932 they finally began to receive a war pension. Harry secretly supplemented their groceries and rent payments. He was “keeping the faith” with Fred as he was always conscious of the fact that he had not passed the medical for military service and so had not served his country as had Fred. He did his part working in arms factories and looking after his parents as Fred had requested. I visit the grave of Frederick’s parents as well as my Father’s grave on Nov11 every year at Pinecrest Cemetery in Ottawa and leave a poppy for Frederick who it is mentioned was buried in France in 1917. I often wondered about Frederick and now I know.